Everyone knows there’s “something about lighthouses” that gives them broad appeal, but their vital role in our history and culture is little appreciated. Our early nation was built on maritime economy, and lighthouses were part of the system that made that possible. Due to automation, traditional lighthouse keeping is a way of life that has faded into the past. Jeremy D’Entremont tells the history of New England’s historic and picturesque lighthouses primarily focusing on the colorful and dramatic stories of lighthouse keepers and their families. This is a NH Humanities program. FREE and open to the public. Check out the Adults Event page for other upcoming programs and workshops. Want a book that we don’t have? Put in an book request! Go to your account, login and fill out a request, or give us a call! Check out our new Second Friday Foreign Film Face Book Page HERE. Please use the new page for discussion of films, asking questions, critiquing, making suggestions and give your opinions about the films we are showing! Thanks! Mahalo! The Friends of the Library have generously donated two ukuleles to the library. These ukes are available for check out. They come with a bag and a chord sheet, and check out for a period of one week. Inquire at the front desk. Aquarium and other Museum Passes available! Thanks to the Friends of the Library, we have a wonderful Museum Pass program. We offer card holders reduced or free admission to several local and Boston museums. Thank you to the Friends for their efforts and generosity. Please call the library for further details and availability. Vacation weeks often are booked up in advance. Did you know that we have a Orion Star Blast telescope and an instruction manual ready to go? Check out is for one week! Our telescope was donated to us by the New Hampshire Astronomical Society for circulation. Get out into the night and learn the starry names and patterns overhead. Tips for star viewing HERE. 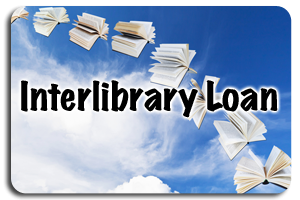 Do you want to receive weekly updates regarding library programs and events? Sign up for our email newsletter. Have eReader Frustration? We can help! Are you having trouble getting started? We are available to give quick guidance to help you download to your e-reader, or give you handouts for the NH Downloadable Book Service. A great resource is the official New Hampshire Downloadable Book Service Blog. Be sure to watch their video! The library now has a KindlePaperwhite and a Nook Glowlight to check out. Please call for more information, and to schedule a time to meet with library staff. Thanks!